What if, in the long era before cameras and recording equipment, a skilled writer with a photographic memory had followed Jesus, Muhammad or Moses, carefully noting every word he spoke, every interaction with his devotees, every event of his day? This information would be invaluable, providing unparalleled insight into a great religious figure, most of whose sayings have been lost to history. In the late 19th century just such an appealing scenario actually occurred. For four and a half years, Mahendra Nath Gupta (1854-1932), a high school headmaster from Calcutta, painstakingly transcribed every one of his encounters with the remarkable Bengali saint Ramakrishna Paramahamsa. What if, in the long era before cameras and recording equipment, a skilled writer with a photographic memory had followed Jesus, Muhammad or Moses, carefully noting every word he spoke, every interaction with his devotees, every event of his day? This information would be invaluable, providing unparalleled insight into a great religious figure, most of whose sayings have been lost to history. In the late 19th century just such an appealing scenario actually occurred. For four and a half years, Mahendra Nath Gupta (1854-1932), a high school headmaster from Calcutta, painstakingly transcribed every one of his encounters with the remarkable Bengali saint Ramakrishna Paramahamsa. Ramakrishna’s inspiring teachings regarding the equal value of all religions and the transformative power of ecstatic love for God quickly spread not only through India but also throughout the Western world. 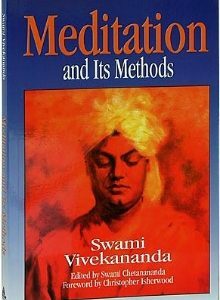 This was due in no small part to the immense appeal of The Gospel of Sri Ramakrishna, the spiritual classic written by Mahendra Nath Gupta based on his detailed diary notes. This influential volume has rightly been hailed as one of the greatest spiritual biographies of all time. The English translation published in 1942 was edited by the legendary mythologist Joseph Campbell with assistance from Margaret Woodrow Wilson, daughter of the 28th U.S. president, and contained an introduction by famed British humanist Aldous Huxley. While The Gospel of Sri Ramakrishna is universally acknowledged as a masterpiece, the man who actually wrote it remains virtually unknown. He left scarcely a trace of himself in his work, focusing instead entirely on the luminous personality of Sri Ramakrishna. This has left many readers wondering who was this “M.,” as he styled himself, the invisible author who didn’t even include his full name in his book? 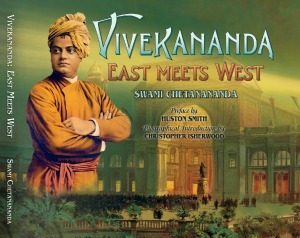 Thanks to Swami Chetanananda, we finally have a biography of the biographer. Mahendra Nath Gupta, the self-effacing author who craved no accolades, at last emerges from the shadows. We discover a highly intelligent Bengali schoolteacher whose dreams of studying at Oxford were undermined by poverty and bereavement. Burdened with financial obligations and continuous family discord, Gupta became nearly suicidal. Grace and desperation led him to Ramakrishna, the unconventional temple priest at Dakshineswar who became his guru. By the close of his life Gupta was recognized as a saint in his own right, his life transmuted by the spiritual master whose activities he observed so closely and reported so vividly. Swami Chetanananda has explored every available historical source for information about the humble devotee whose 177 diary entries would grow into one of the most engaging spiritual portraits ever compiled. 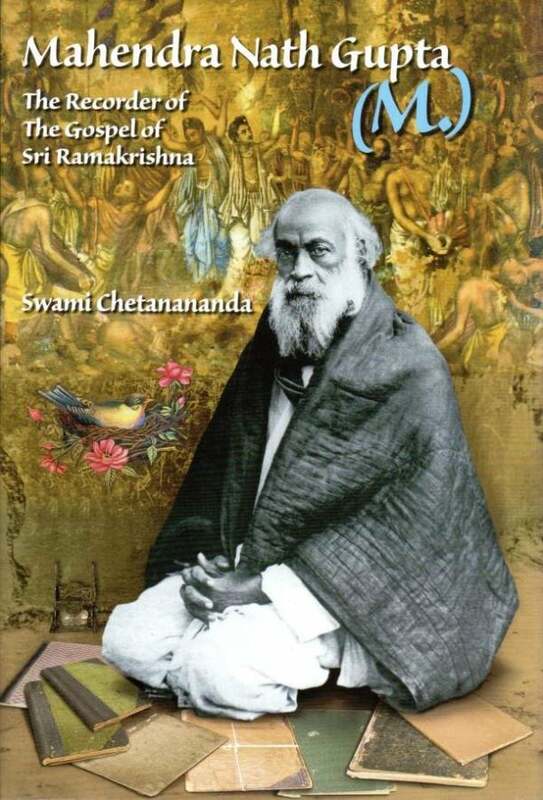 Mahendra Nath Gupta: The Recorder of the Gospel of Sri Ramakrishna also includes reminiscences by such historical figures as the poet and dramatist Dilip Kumar Roy and the world-renowned yogi Paramahamsa Yogananda. I believe Mahendra Nath Gupta would be pleased that even though this new biography is about him, in many respects its central focus remains Sri Ramakrishna, many of whose lively and inspired conversations are preserved in this volume. The transformation of an unhappy Bengali schoolmaster into a biographer and saint is only one of Ramakrishna’s countless miracles. Many thanks to Swami Chetanananda for illuminating the lives of both these extraordinary men, the brilliant spiritual master and his unassuming devotee who simply and honestly wrote everything down. “M.”, as the author modestly styles himself, was peculiarly qualified for his task. . . . Making good use of his natural gifts and of the circumstances in which he found himself, M. produced a book unique, so far as my knowledge goes, in the literature of hagiography. No other saint has had so able and indefatigable a Boswell. If I had to use one single word to describe the atmosphere of the Gospel narrative, it would be the word Now. . . . The service M. has rendered us and future generations can hardly be exaggerated. Even the vainest of authors might well have been humbled, finding himself entrusted with such a task. M. was the least vain. 10. Ramakrishna’s Love for M.
18. Holy Mother and M.
Appendix 1 — Correspondence of Romain Rolland with M.
It is extremely difficult to write about a man who was reticent, selfeffacing, humble, reluctant to speak about himself, and preferred to be hidden from the public gaze. There is a saying: “The more secret it is, the stronger and more fruitful it becomes; the more it is expressed, the weaker and more superficial it becomes.” For this reason mystics and true spiritual aspirants like to remain anonymous. 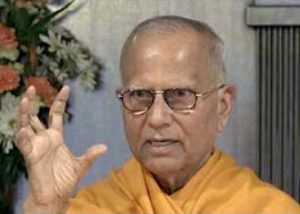 Mahendra Nath Gupta (known as M.) wanted to be hidden but failed: His immortal work, The Gospel of Sri Ramakrishna, made him famous. People from all over the world flocked to see M., and he would talk to them only about God. When they would ask, “Please tell us something about Sri Ramakrishna,” he would quote the conversation between the disciple and the teacher in the Kena Upanishad: The disciple said, “Teach me the Upanishad,” and the preceptor remained silent for a while and then replied, “I have already told you the Upanishad.”1 By this, Mahendra meant that as he knew only Ramakrishna and nothing else, whatever came through his lips was about him. If anyone asked M. about his personal life, he would invariably turn the conversation to Ramakrishna. He infused his identity with his beloved guru and acted as his Master’s voice throughout the rest of his life. M. was born on Friday, 14 July 1854, at 5:55 a.m. The place of his birth was at Shivanarayan Das Lane, Shimulia, in North Calcutta, and it is very close to Swami Vivekananda’s birthplace. Coincidentally, at that time Ramakrishna was living in that same area, helping his brother by performing rituals in private homes. M.’s father, Madhusudan Gupta, was a pious man and worked in the Calcutta High Court. His mother, Swarnamayi Devi, was extremely devoted to God. It is said that she had this special child after worshipping Lord Shiva and praying to Him for a long time. Madhusudan and Swarnamayi had five sons and six daughters: Kailashchandra, Khirodvasini, Saudamini, Kshetramohan, Ramanmohini, Manmohini, Akshaykumar, Binodini, Mahendra Nath, Durgamani, and Kishori. (Kishori also became a devotee of Ramakrishna.) Shortly after M.’s birth, Madhusudan bought a house nearby at 13/2 Guruprasad Chaudhury Lane, which M. later named Thakur Bari, the Lord’s House. Now it is also known as Kathamrita Bhavan, the House of the Kathamrita. M. was handsome and had a fair complexion. He was very dear to his parents and neighbours. His primary school teacher was also fond of him because of his sweet nature and intelligence. From an early age, M.’s calm face, large and distinctive eyes, gentle voice, and charming personality attracted others. Humility, the spirit of inquiry, and personal service rendered to the teacher are requirements of discipleship. Krishna says in the Gita: “Learn it [the Truth] by prostration, by inquiry, and by service. The wise, who have seen the Truth, will teach you that Knowledge.”1 There is also a saying: “One can attain God by service, worship, and humility.” M. was endowed with all these qualities. Very few people had the opportunity to serve Ramakrishna. He did not allow people to serve him who were not pure and guileless, who earned money through unfair means, who offered him food with ulterior motives, who lied, or who were of questionable character. On the other hand, the Master needed someone nearby to hold him when he would go into samadhi, or to carry his water pot, because he could not touch any metal. On 20 June 1884 Ramakrishna said to M.: “You see, I am having some difficulty about my physical needs. It will be nice if Baburam lives with me. The nature of these attendants of mine is undergoing a change. Latu is always tense with spiritual emotion. He is about to merge himself in God. Rakhal is getting into such a spiritual mood that he can’t do anything even for himself. I have to get water for him. He isn’t of much service to me.”2 Moreover, Rakhal had to visit his home occasionally. 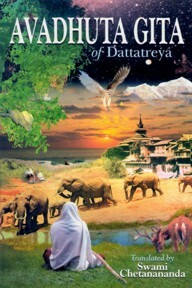 Although several devotees lived with the Master, when he was in samadhi he could bear the touch of only certain people. It was at the end of January 1908 that I first had the opportunity to leave my home city, Dhaka — at that time the capital of the province of East Bengal and Assam — for a trip to Calcutta, which was then the capital of British India and of West Bengal. I was in my first year at an intermediate college located in Dhaka that was affiliated with the University of Calcutta. I came to Calcutta, accompanied by a relative, with a concession travelling ticket of about ten days, mainly for the purpose of pilgrimage. While Dhaka is situated on the river Budiganga, Calcutta is situated on the Ganges, which derives from the Bhagirathi, the main stream of the Ganges. According to Hindu astrology there was to be a rare auspicious day for a sacred bath in the Ganges on account of a solar eclipse at dawn. The auspicious day happened to be, as far as I can recall, on Monday, 3 February 1908. The day was further sanctified by the special position of a notable constellation. Most probably I arrived in Calcutta on Saturday, 1 February.